It’s unfortunate that not enough people know who Ledisi is. This Oakland-bred singer/songwriter is an astonishing talent with a booming voice and a knack for writing a nice catchy hook. 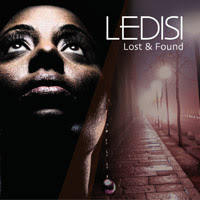 On her Verve Records debut Lost & Found, Ledisi – whose name means “to come forth” in Nigerian – is hoping to change things. The album is as complete as soul albums can hope to be in this day and age. Lost & Found is a triumphant proclamation of fierce talent and skill. While it may not rock the boat of R&B, it is an efficient example of excellence in the genre. Brilliant from beginning to end, the album should do much to bolster Ledisi’s profile in the music world at large. Ledisi’s voice is a thing of unmatched energy and rawness. It is immediately reminiscent of the power of Chaka Khan, yet Ledisi does well to control the power of her instrument, often scaling back between her frenetic scatting and gospel runs. The strength of Ledisi’s voice is just one of the strength’s of Lost & Found, but it is the one that will grab listeners at first. It’s actually the songs themselves that are the true power of the album. 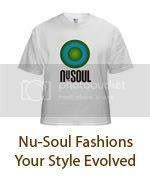 The production forgoes the traditional neo-soul sound of merging hip-hop and old soul, and instead goes for a very modern and streamlined take on pure soul. Live instrumentation, thick drums, and elegant melodies converge throughout the disc for a sound that is fresh in today’s musical landscape. The album’s best songs, such as the first single “Alright”, the minimal “Joy”, and the energetic “Get To Know You”, all feature a seamless melding of catchy lyrics, accessible production, and a warm, sassy performance from Ledisi. The level of songwriting is incredible, matched only by the complex arrangements. No where else is this on display than on “Think Of You” a slinky number that prominently features a thick drum breakdown over gorgeous call and response layers of vocals. Ledisi is also adept at powerful ballads, perfecting the art on the candle wax and massage oil vibe of “In The Morning” and the melancholy “Lost and Found (Find Me)”. There is true depth here, with all aspects of the soul spectrum getting covered with expert skill. Lost & Found doesn’t reinvent the wheel or anything but it is an accurate playbook on how to create the perfect soul album.